Research shows that a large percentage of cancer-related deaths, may be even the majority are directly linked to lifestyle choices such as smoking, drinking, a lack of exercise, and an unhealthy diet. The food you eat has a powerful effect on your health, including your risk of cancer. You may land up eating many foods that fuels cancer, while neglecting the powerful foods and nutrients that can protect you. If you change your diet and behavior, you can minimize your risk of disease and possibly even stop cancer in its tracks. Turmeric/Curcumin: This is the king of spices. This retards the growth of cancer cells causing prostrate cancer, melanoma, breast cancer, brain tumour, pancreatic cancer and leukemia among a host of others. Fennel Seeds: Its a great antioxidant which fights the cancer cells.A tomato-fennel soup with garlic or fresh salads with fennel bulbs make for an ideal entree prior to an elaborate course meal. Cumin : It aids digestion. In India, after a heavy lunch people chew a bit of these cumin seeds, so the digestion is eased. This antioxidant helps reduce the prostrate cancer. Oregano : This not only aids digestion also fights cancers cell for prostrate cancer. Others: Cloves, anise, basil, garlic, caraway, fenugreek, mustard, mint leaves, rosemary, Limonin (fresh lemon), virgin olive, vinegar and avocado are other cancer-fighting diet components. Black Pepper /Peppercorns are one of the widely used Indian spices, this has great health benefits. It helps/aids in digestion – When you eat Black Pepper, your taste buds gets stimulated. They send signals to your stomach to increase its production of hydrochloric acid. This acid helps your body digest food so you don’t suffer from indigestion. Cold/Congestion – the best medicine for cold/sore throat/congestion is black pepper. In India we prepare rasam with pepper when we get cold. We can powder the black pepper, add little honey and have the paste every morning. If we have it in a small amount also helps reducing cold. When I get severe cold, I would take 4 to 5 peppercorns and chew it. Though very spicy, its a great relief. Weight loss — Yes, black pepper is one which increases urination and sweating. This extracts the unwanted toxins in the body and aids weight loss. Instead of using Red/green chilies, we can substitute with Black peppers. 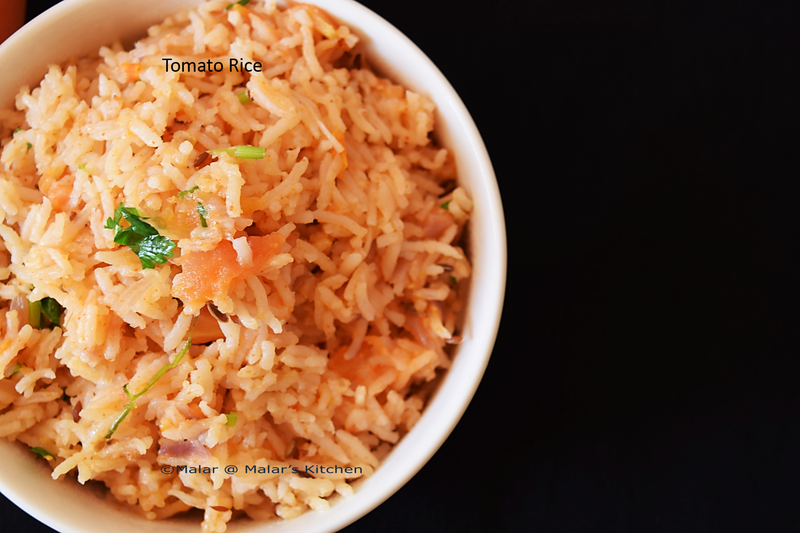 Wash and cook the basmathi rice with 1:2 of rice and water ration respectively. 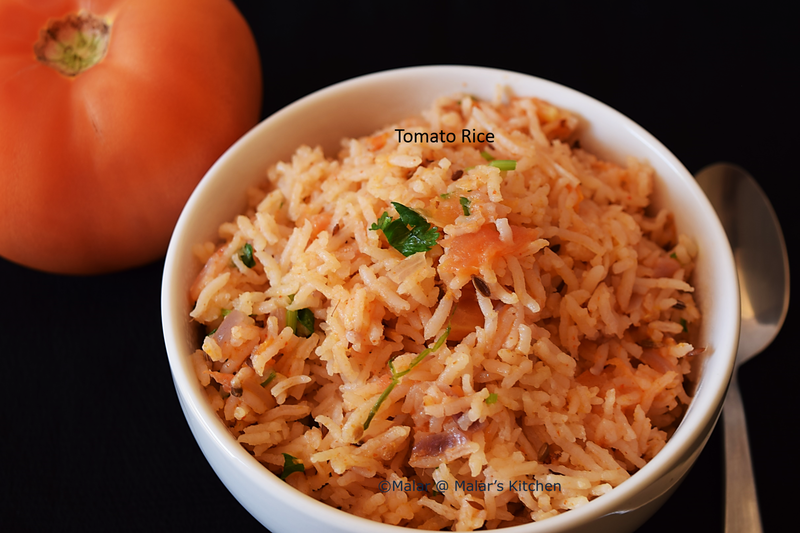 Once cooked, use fork and separate the rice. Do not mash. Heat oil in a bigger pan. Add cumin seeds, let it splutter. Now add onion, let it heat to become transparent. add the peanuts, garlic, ginger, pepper. Let it get heated for 2 mins, now add the chopped spinach. I used baby spinach. Let the spinach cook for 5 to 6 mins, it leaves out water, go on cooking. Add little bit of salt now and let the spinach get cooked well. Now add the rice and mix well. 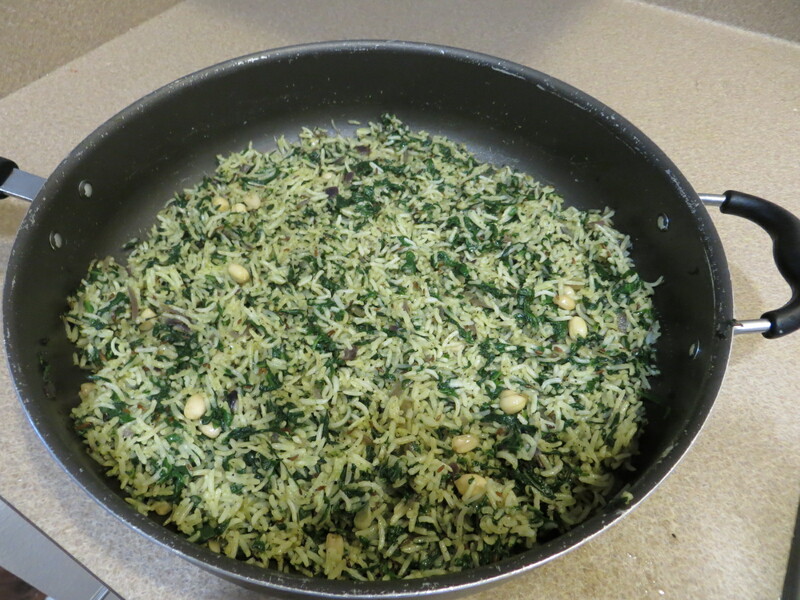 stir well and let the rice cook for few mins with the spinach, add a pinch of salt, as the rice should absorb some salt. Mix well. turmeric powder – 1/2 teaspoon. Hard boil the egg for 10 mins, and keep aside. Mean time, in the pan heat 1 tables spoon oil, put all the items in the Masala items mentioned above except grated coconut. let them splutter, , now switch of the stove, after that add the grated coconut and mix it with pan’s heat. This is to avoid the coconut getting burnt. Now let it cool, once it has cool, put these items in a mixer and grind it. Make it in to a fine paste. Now separately grind the items in to grind, keep it aside. In the pan add 1 table spoon oil, once it is hot, add cumin seeds, fennel seeds, let it splutter. Add bay leaves and curry leaves now. Add the onions and saute till its transparent. After this add the ginger , garlic , green chili, tomato paste and let it boil for few mins. After which add the ground masala. Now add one cup of water with 1/2 teaspoon turmeric powder and salt. In few minutes, add the tamarind juice and let it boil. Mean time remove the shell of the eggs. Now in another pan add 1 table spoon oil, put the eggs in the oil, add 1/2 table spoon red chili powder and little bit salt and saute for 2 mins. remove the pan, should not overcook. 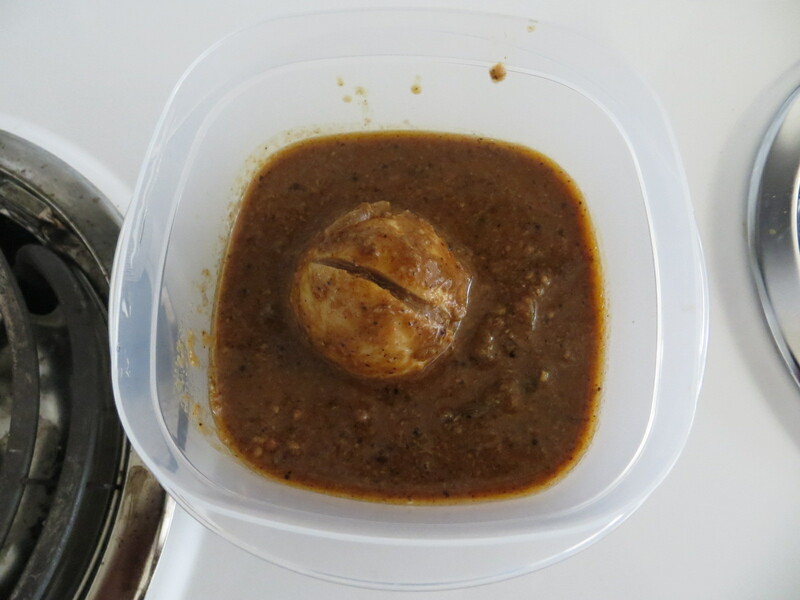 Note: You can vary the red chili powder amount for the egg according to your taste. 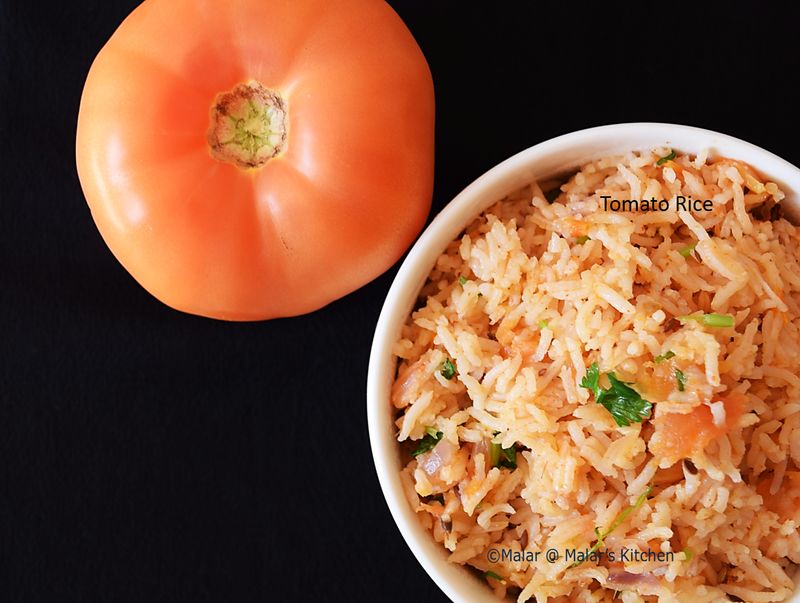 Finely chop onion and tomato. Wash basmati rice and keep it aside. Heat oil in a pan. When hot add cinnamon sticks, cloves, cumin seeds, fennel seeds. When it crackles, add onion and saute for 2 mins. Let the onion turn translucent, now add chopped tomato. Saute till it smashes completely. Now add red chili powder, salt and mix. After a minute, add the washed and cleaned rice. Saute it for 2 mins. You can either cook in pan, pressure cooker or rice cooker. I have used rice cooker. Now transfer the contents to rice cooker, add water and coconut milk, mix. Once it is cooked, add some cilantro leaves and garnish. In case of pressure cooker cook for 3 whistles. In case of pan, cook till rice is soft and fluffy. Serve with raita or plain yogurt. You can use more oil in case you feel oil is less.